Do you; Live in Hull, have the 17th Edition and have field service experience? If so this role that offers outstanding training, the opportunity to really develop your skills and a great financial package. If so this is role that offers outstanding training, the opportunity to really develop your skills and a great financial package. Electrical Field Service engineer (FSE), Hull, £31k basic, £35k with overtime and call out, 17th Edition (Or equivalent electrical qualification), some mechanical and basic plumbing experience required. A straightforward manager is looking for a straightforward electrical field service engineer to help keep high end restaurants and sport stadiums from having dirty dishes. You would be using your electrical skills to install, service and repair commercial dishwashers. Your mechanical and basic plumbing knowledge will also come in handy. Full and extensive training will be provided so all you really need is to have the regs (17th Edition) and to know your way round a tool box. It is a field service role, so you will like getting out and about meeting a variety of people in a variety of professions, you will also have experience as a field service engineer. You will enjoy different days with different challenges. You will be going to a fancy restaurant one day, and a sports stadium the next. You will need to currently live in Hull or very nearby. So, what's on offer? As well as the chance to keep Hull's crockery sparking, there is a basic salary of £29,100, with a guaranteed bonus of £2,000 and overtime. We have placed people into this role who all take home around £35k. If you want to make a difference whilst utilising your expertise click apply now. 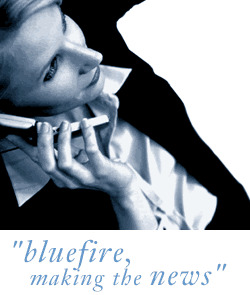 click apply or send your CV to G.Howard@bluefireconsulting.co.uk. Who do you know who can do this role? I am in a position to pay £200 for a successful referral. Send me their details and we can take it from there.